There are hundreds, maybe thousands of mascots in Japan and generally they are really good. But… there are also exceptions. 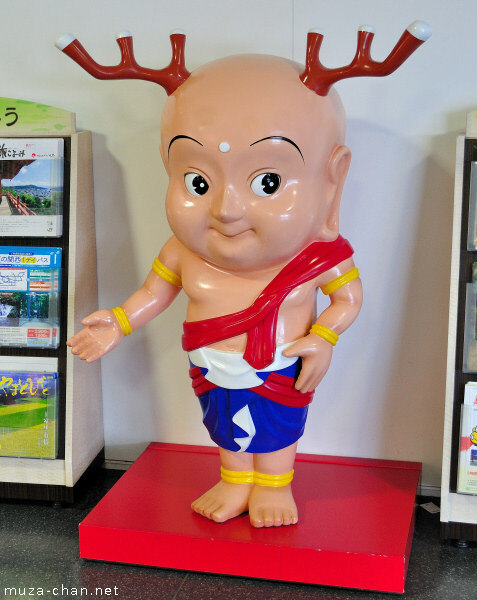 Here’s Sento-kun, a mascot launched 2 years ago, which became famous not only because of the intense promotion but because of the controversy created immediately after it was presented. Needless to say, many people expressed negative views towards the new mascot… it was called creepy, monster and even blasphemous… Of course, there are also people considering Sento-kun cute, or at least kimo kawaii - cute but grotesque.